If perceived volume is important to you it is always best to communicate this at the beginning of a project, this saves myself and the client time as we can approach the desired perceived volume from the outset. Mastering is a holistic practice and ‘loudness’ without significant trade off is not something that can be achieved by the press of a button. When I master a track if high perceived volumes have been requested the entire analogue and digital processing chain is optimized accordingly for a loud result. I can understand that people think there is a loudness button absent of side effects because of the over use of limiters and loudness maximizers in mixing these days. However a good mastering engineer will be planning ahead with the very first sonic adjustments with the perceived volume goal in mind. And that means that the mastering processes are very much dependent on each other in order to ‘build up’ for specific audio mastering goals. The goals of audio mastering are multiple, competitive volume being only one of them and so the engineer will aim for a master to satisfy the most number of listeners on the widest variety of playback systems, both large and small. Whilst a good mastering engineer will seek to satisfy all requirements, ultimately the goal is often to make good judgements and balanced corrective and enhancement decisions against what can seemingly be conflicting goals or instructions. Fortunately in a high end mastering studio with reference quality equipment such as accurate acoustics, high headroom amplification, full range and low distortion monitoring the mastering engineer is in a very good position to be able to decide the middle path. This should obtain optimal translation across a wide number of reproduction systems whilst including an aperture for client taste. So whether you want your masters pristine, clear and detailed with full dynamic and musical swings, blisteringly loud intensity or some where in between it is always a good plan to speak with me before commencing with your project. I always like to speak to clients and a concise call outlining your goals is beneficial for both parties. It is also a good way for a potential client to get a first impression of myself as an engineer and be assured that you are dealing with an experienced professional. 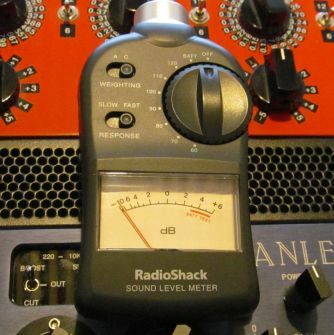 I have a few methods of determining your anticipated loudness requirements and clarifying this aspect of the project allows the goal to be achieved more efficiently. 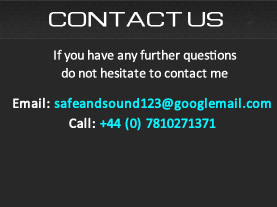 So pick up the phone or drop me a line with some details about your project.